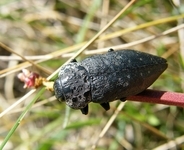 Anthaxia vittula Kiesenwetter, 1857. 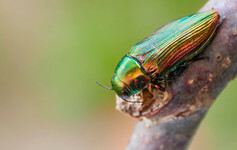 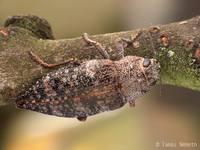 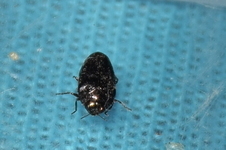 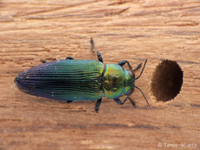 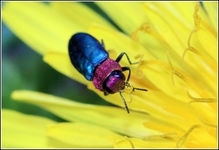 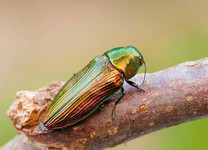 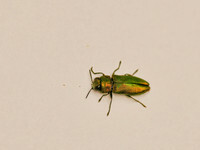 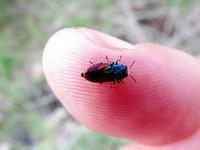 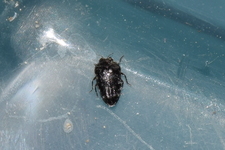 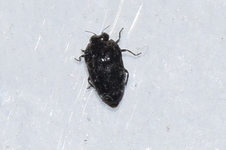 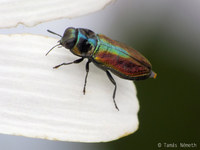 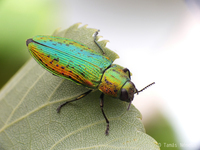 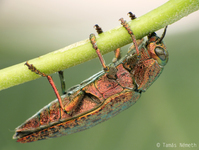 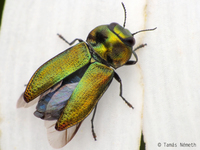 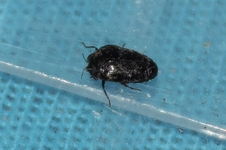 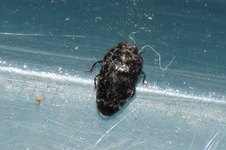 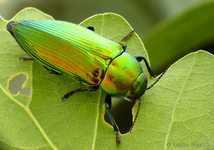 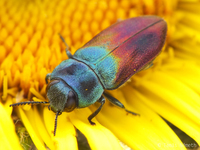 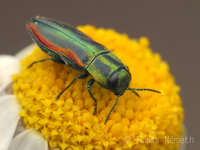 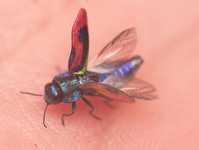 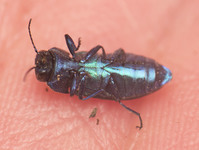 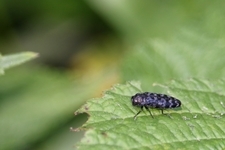 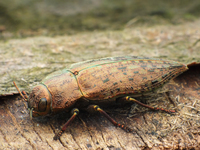 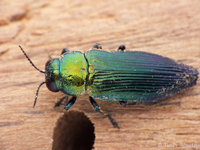 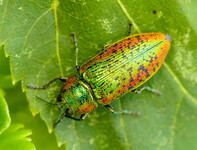 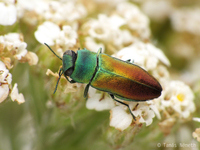 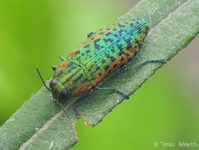 Usually dark coloured buprestids (Melanthaxia) develop in coniferous trees, but not this one! 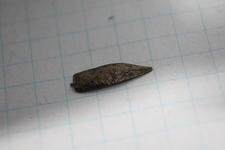 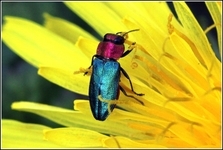 This is from Menalon mountains, Greece. 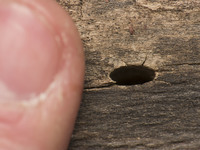 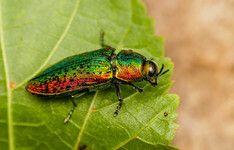 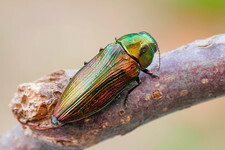 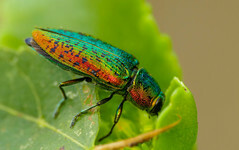 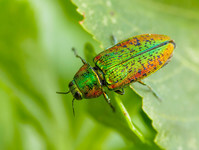 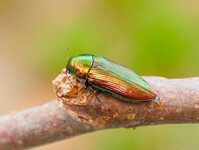 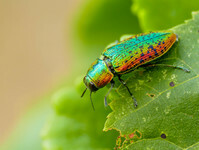 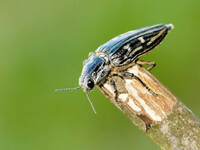 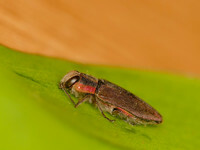 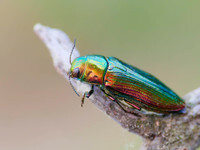 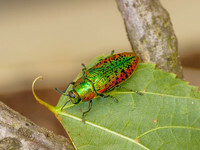 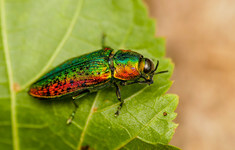 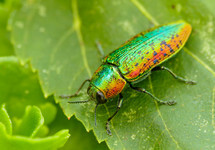 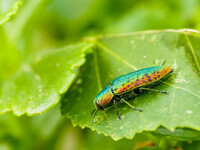 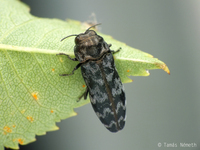 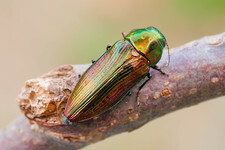 Big buprestid, Dicerca aenea (Linnaeus, 1760) develops in poplar. 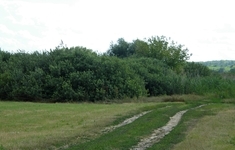 Active from May to the end of summer. 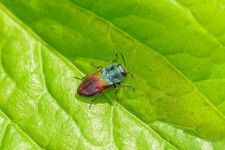 Anthaxia nitidula (Linnaeus, 1758) on Spiraea. 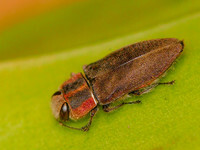 Eurythyrea quercus (Herbst, 1780) reared from my furniture made of oak. 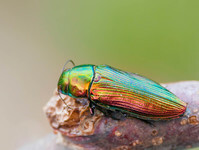 We call it alder-jewel beetle, but also prefers lime: Dicerca alni (Fischer von Waldheim, 1824). 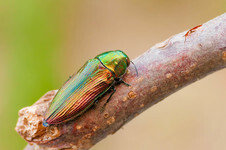 We call it beech-jewel beetle, but it also prefers hornbeam: Dicerca berolinensis (Herbst, 1779). 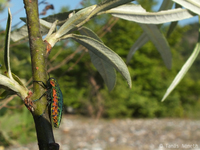 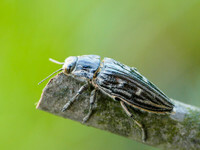 Lamprodila decipiens: buprestid from the riverside of Raponit, Albania. 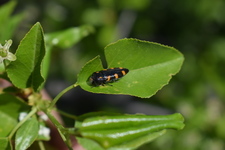 Lamprodila decipiens Gebler, 1847 was found on a small willow bush during our Balkan-trip on the last week. 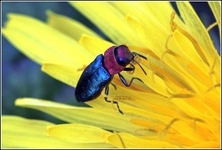 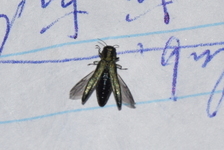 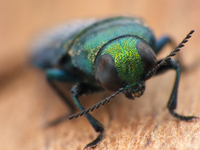 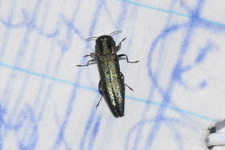 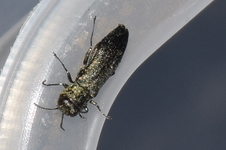 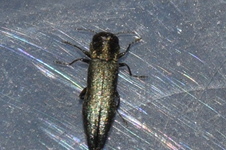 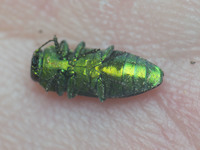 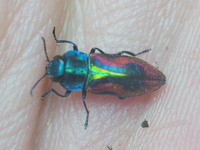 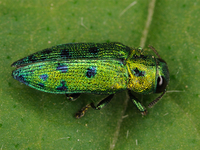 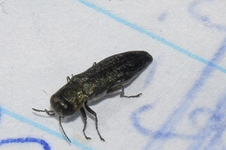 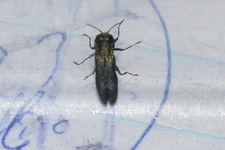 Buprestid from the riverside of Raponit, Albania. 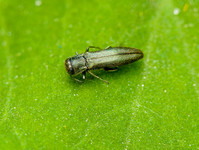 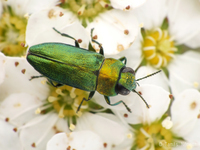 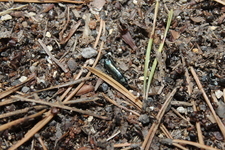 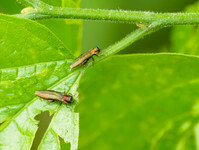 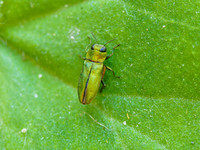 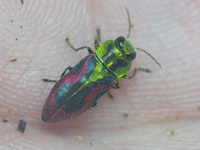 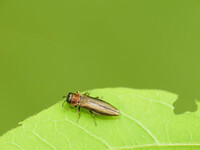 Agrilus hyperici (Creutzer, 1799) on its hostplant Hypericum perforatum.